I love roasted cauliflower. It’s so easy to make and has a rich flavor. It gets all nice and caramelized when roasted I also like to use it as a conduit for curry, which contains the miracle health-protecting, antioxidant-rich turmeric root. Have you heard about turmeric’s wonderful anti-inflammatory benefits? You can do so much with cauliflower! Make cauliflower rice, cous cous, “faux”tatoes, or even these cauliflower wraps. 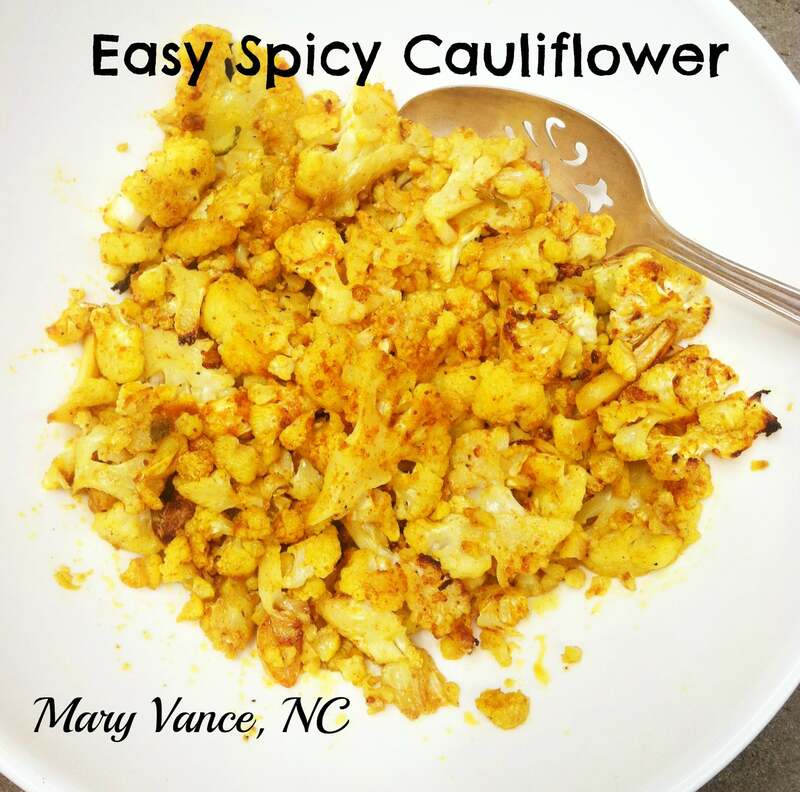 Cauliflower is very versatile and can be easily used in place of grains or starch for lower carb side dishes. It may not get a lot of love, but cauliflower is great for liver support and high in antioxidants, fiber, and B vitamins. Check out this easy roasted cauliflower I made today for lunch. This garlic adds an extra superfood punch here. Cover a cookie sheet with parchment paper. Toss sliced cauliflower with spices and olive oil in a bowl, then spread over cookie sheet and roast for 20 minutes, tossing once. Then put it under the broiler for about 5 minutes so it crisps up. Serve with your favorite meat, and that's a great meal. I'm having it with roast chicken today. Click here for my Cracklin’ Cauliflower recipe.